As I alluded to a couple of days ago, “look around, what do you see?”. 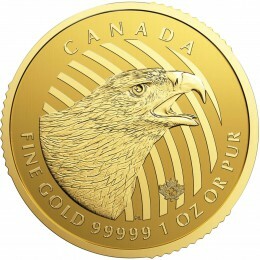 People who own precious metals are quaking in their boots at EXACTLY THE PRECISE TIME they should be comfortable. We have gotten many “scared” e-mails recently, some from people I would have never guessed. Even a $10 move down in gold has sparked fearful e-mails … but why? It should be clear to you now, the “unwind” has begun. Jim and I tried to tell you this a couple of months back, now there is absolute evidence. Look at real estate in many parts of the world. Australia, China, London, Vancouver, New York and now even San Francisco. The most important thing to look at is “volume”, as price always follows. Pricing, as it did back in 2006 has gotten to unaffordable levels …and banks have begun to pull back on lending. Ask yourself this simple question, where would pricing be if everyone had to pay cash for new purchases? I am not sure the answer but it would surely be less than 50% of current pricing. “Credit” is the reason real estate attained the values they did, lack of credit is now reducing sales volume …and thus pricing. We can also look at the corporate sector. There is a $3 trillion “junk” time bomb sitting here, especially the fracking sector. Even supposed good credits have recently tarnished, how about GE being shut out of the commercial paper market ? Or banks? Can anyone say Monte de Paschi? Or Deutsche Bank? Or look at pensions, anywhere on the planet …how is it possible they are underfunded after pushing interest rates to zero and blowing asset bubbles across the board? What will these look like in just a garden variety bear market? “Asset values” were (are) the crux to the whole scheme. If you can get asset values “up”, the populace will believe anything you tell them. This is the key tenet to MOPE. Never mind that industrial production has yet (10 years later) to eclipse the previous high back in 2006, none of that mattered as long as stocks. bonds, and real estate marched higher. The entire game was bet on reflating asset values, it worked and the can was kicked down the road …until today. Now, there are no entities on the planet that can step in and play the role of white knight. All central banks and sovereign treasuries are up to their eyeballs in balance sheet debt. Interest rates are now moving higher, at a time when debt ratios and gross debt has never been higher. And don’t forget “globalism”, everyone is in bed with everyone else financially. Never mind six degrees of separation, we are at the point where stress is appearing everywhere in a world where NO ONE can fail …or we all fail. I assume you originally purchased your gold/silver assets as “protection” from some sort of financial/economic/social mishap? If you bought gold because it would “go up”, (I am ashamed you are reading this). To this point, pretty much everything the precious metals community expected to happen …is in the process of happening right before your very eyes! 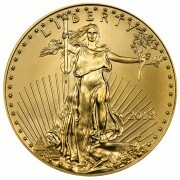 The blunt reason to own gold is because it is money with no attached liability in a world awash in liabilities. Asset values across the board have reached untenable levels because the bidding process was aided by leverage. Currencies themselves are “debt instruments”. As I started with, “look around you”. There cannot be infinite growth in a finite world. It may seem like this on the way up as credit fuels the expansion but both credit and growth have limits. Growth due to limited resources and credit due to the inability systemically to incur more debt at some point. I termed this “debt saturation” in 2007, we have arrived again! Quite simply, all Ponzi schemes require continual and eventually exponential new investors. Debt has been the “new investor” for many years. This source of funds has been over used and is in the exhaustion phase. To finish, the teeth gnashing in the gold community makes no sense at all. Nearly all the conditions are firmly and maturely in place to demand financial caution and extremely defensive positioning. The experiment is failing and the “wall” is clearly in sight. Worrying about gold holdings now is like wondering whether you should have your seatbelt on just moments before a head on collision! Thank you, Bill! Sometimes things are so obvious that they are easy to miss. I’m glad I heeded your advice back in 2009, got rid of my paper assets, and started my program of buying silver as it started moving down. Every 10-15% drop, I bought a little more. Folks not in yet can spare themselves the 10-15% drops I took, and can get a lot at bargain prices that never vary more than a few cents. And their reason for waiting is…. what? If you wait to hear the “trap door” swing open, the rope will get tight so fast, you won’t be able to get out! Right ON!! Have been aboard since 2002. Great work to :You Both.ThankYou from a fellow Connecticut citizen..
That is exactly where we are boys and girls, like it or not? if you have no gold or silver you have no expectation of coming out the other side, period! The social ramifications of the situation well underway will be catastrophic, painful, violent and very humbling to a land that has never known hardship, such as we face going forward! My thoughts on this dilemma are not well understood by the masses of people believing it’s all good! That says it all Bill. Owning PM’s is about truth and reality will always return us to where we started. Real money. We are on the doorstep of the most important time in American history. Get ready and say a prayer that we succeed in bringing truth to the surface even if it hurts. I’m one of those gold bugs that have been fretting. Hey, Bill… long time. Gold and silver are SAFEGUARDS – THEY ARE TO ‘BE THERE’ FOR YOU: whether the Kabuki World continues it’s madness; or all goes down in flames about us. 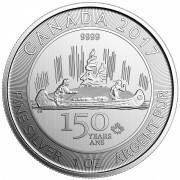 History and God Himself witness the truth of indestructible value – heck even Science and Industry prove the unique quality and character of Precious Metals. Again – simplicity is Truth’s most becoming garb: and the truth you have supported all along is hiding in plain sight. You just have to want to see it. 8 years for this Epiphany to occur; NOW IT’S HERE. Right on, Bill. we’re in the ‘Quickening’ aka ‘gradually then suddenly’ aka arithmetic, then geometric, now exponential. The bubble (matrix) is about to pop and it ain’t just financials. I am a child of the 50’s, early. Flash forward sixty years and what are the wages now. I’m to believe there is no inflation. I’ve been buying metals for a while and the lower it goes the more to buy. I hope it doesn’t get to the highs’ people wish for because it will all be over for millions of people. Maybe my airs will have a head start later on. 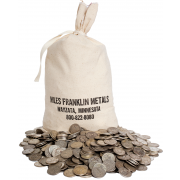 Utah Blaine- I listened to Bill and Miles Franklin starting back in 2009, and when prices started coming down in 2011, like you, I just kept adding to my silver stack. Buying lower has brought my average price down and down. Hopefully, I’ll be able to help some who didn’t/couldn’t do the same. The “insurance” factor is very comforting, though I hope I never NEED it!